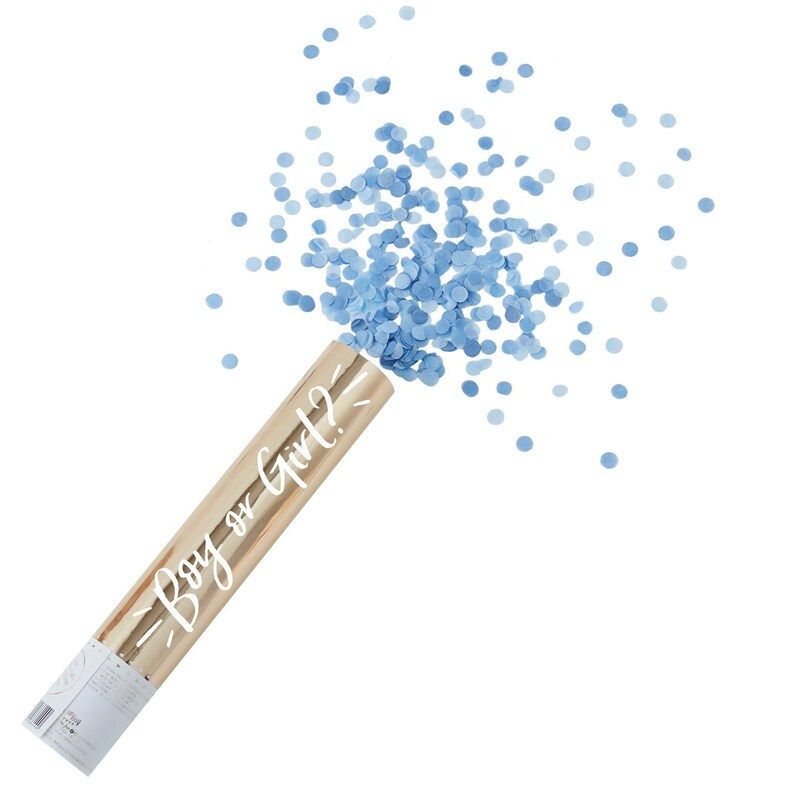 Confetti Cannon Shooter - Large Blue - Oh Baby! Surprise your guests or the mummy to be with our blue confetti cannon shooter. You could be planning a gender reveal party and want to tell your friends in style, or you may know the gender already and want a magical touch to add to your celebrations. Our gold cannon shooter with its blue confetti will be a memorable moment that family, friends and parents to be will never forget. Each pack contains 1 confetti cannon measuring 300mm (H) by 45mm (W).